Pamela’s first book The Soldier’s Wife, was under her married name and was inspired by my grandfather’s service as an ANZAC at Gallipoli. Since then, she’s enjoyed working with other true stories set in and after WWI. Each book has given rise to the next, as she has stumbled over wonderful stories while doing the research for the current book. 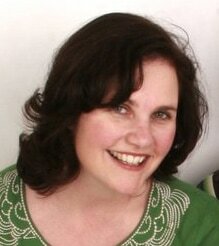 As Pamela Freeman she’s written children’s fiction, epic fantasy, crime fiction and children’s poetry. She became seriously interested in historical fiction when she wrote The Black Dress, a fictional account of the childhood of Mary MacKillop in the Australia of the 1840s-1860s. She has a Doctor of Creative Arts in Writing from the University of Technology, Sydney, and she teaches writing (face-to-face and online) at the Australian Writers’ Centre. Her writing started when she was a children’s scriptwriter for ABC Kids, which was where she began to write children’s stories. But then she discovered that she wanted to tell stories for adults, too, and particularly stories about women’s lives, loves, tears and joys. Visit her website. Joanna was born in the UK and studied medicine at Cambridge and Oxford universities and has lived in Australia for fifteen years. Her short fiction has won multiple awards and has been published in various journals and literary anthologies. As a GP with a passion for women's health and care of the elderly, Joanna is drawn to writing character-driven stories for women in their prime, creating young-at-heart characters who are not afraid to break the rules and defy society's expectations of ageing. Joanna lives on Sydney's Northern Beaches with her husband and two teenage children. International rights to The Single Ladies of Jacaranda Retirement Vilage have been snapped up by major publishers in the UK and Gemany. Oliver loves to make people laugh, whether it’s on the page writing humour for kids or on stage as a stand-up comedian. He also shares his passion for writing with kids, using his experience as a primary school teacher. Oliver has performed at various comedy and writers festivals around Australia and Asia. Oliver’s books are packed with laughs, but also carry a lot of heart and authentic characters living in a multicultural Australia. His most recent books include Natural Born Loser and Don’t Follow Vee, which will be out in May. He is best known for his Thai-riffic!, Con-nerd shortlisted in both the YABBAs and KOALAs for the last three years running and The Other Christy books. Visit his author page. Tobhy is an award-winning writer, illustrator, cartoonist, designer and sometime editor based in the Blue Mountains near Sydney. He has written and illustrated numerous well-loved picture books; written a young adult novel and was the cartoonist for Good Weekend for nearly ten years. He also illustrated the multi-award-winning Word Spy books (Word Snoop in the US) written by Ursula Dubosarsky. Visit Tohby at his blog. Lisa was born and grew up in Sydney, where she spent a whole chunk of her childhood imagining that aliens had landed on earth and invaded all the bodies of all the humans she met, including her mum. These days, she is an award-winning writer of picture books and fiction for young people. Some of her well-loved picture books include Big Pet Day (ill. Gus Gordon), The Whole Caboodle (ill. Leila Rudge) and the 2010 CBCA Book of the Year for Early Childhood, Bear and Chook by the Sea (ill. Emma Quay.) Her young adult novel, My Big Birkett was shortlisted for the 2007 CBCA Book of the Year for Older Readers and in the United States, where it was a 2008 New York Public Library Best Book for the Teen Age. Her middle-grade novel, The Grand, Genius Summer of Henry Hoobler, received the 2017 Queensland Literary Award for Children’s Fiction and was shortlisted in the 2018 CBCA Book of the Year Award for Younger Readers. Her most recent picture book, Hark, It’s Me, Ruby Lee! (ill. Binny Talib) was a 2018 CBCA Honour Book of the Year for Early Childhood and was shortlisted in the 2018 Prime Minister’s Literary Awards for Children’s Fiction. Lisa loves moon-gazing, making up words, black cockatoos, hot cups of tea and shouts of unexpected laughter. She continues to lives in Sydney, with her husband, their three sons, one flouncy, bouncy spoodle and as far as she knows, no sneaky undercover aliens. Catch her at her website. Clare has worked in publishing since 1990. As publishing manager at Scholastic Australia, she is both publisher of Omnibus Books, and manager of Scholastic’s Digital publishing program. Studying both journalism and literature led Clare to publishing. Her first job in children’s books involved “fact-checking” - standing on one foot, and flicking rubber bands, under the guise of editing primary school science texts. Suzanne publishes commercial books for children of all ages. The best moments in her job are when she reads a manuscript or sees an illustration that transports her as vividly as the books that she loved growing up used to do. Recent highlights include Jessica Townsend’s Nevermoor: The Trials of Morrigan Crow, Shaun Tan’s Cicada and the Squidge Dibley series by Mick Elliott. She is currently looking for picture book authors and illustrators, middle-grade fiction, junior fiction and YA. Above all, she wants to publish books that kids will love. ​Anna started her publishing career editing for a literary agency in London, before moving to Pan Macmillan where she worked with a range of authors including Kate Morton, Minette Walters and David Baldacci. She moved to Australia in search of some sunshine and worked at Pan Macmillan in Sydney before joining HarperCollins in 2009 to take responsibility for developing the commercial fiction list. Her authors include Dervla McTiernan, Karin Slaughter, Paullina Simons, Tara Moss and Daniel Silva.